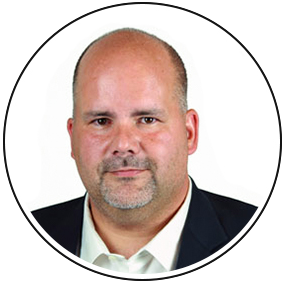 Darin Leonard is a seasoned executive with over 25 years of leadership within the Fortune 500, both institutionally and privately held as well as early stage companies. At OneAccord, Darin serves the as senior vice president, a senior partner and a director on each portfolio company board. He is a nationally sought-after contributor and keynote speaker on the trends in food, franchise, consumer behaviors and culture. For the past 11 years, Darin held the role of CEO of Dream Dinners, where he led one of the great success stories in the food industry. During a season in which every one of Dream Dinners' competitors failed, Darin led the organization through a mission-centered turnaround with an innovative growth strategy that doubled the revenue per store while improving operating margins over 30 percent. During his tenure at OneAccord, Darin has created a diverse portfolio of client success stories in manufacturing, consumer goods, food, retail, franchise and professional services. His practice is focused primarily on privately held organizations that are stuck for reasons they can’t identify, companies facing transitions, generational transfers and turnarounds. Darin has a gift for driving to the core quickly and delivering the truth in a way that can be both received and implemented by all stakeholders. Before he joined OneAccord, Darin served as the CEO of the Maytag Stores, an innovative retail appliance concept spun out of Maytag Corp. Prior to that, Darin held executive leadership positions in all three corporate divisions (independent dealers, national accounts and the builder/contract) within Maytag Appliances. During his tenure at Maytag, he led major customer negotiations and held vertical leadership roles in sales, marketing, merchandising, manufacturing and product development. Darin is a deeply committed husband and father to three sons who share his patriotism and love of everything baseball. He serves on multiple boards and one nonprofit ministry.